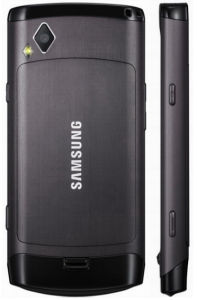 Samsung today announced first Bada based mobile device called S8500 Wave at MWC Spain. Bada is Samsung’s home grown operating system. The Bada in Korean stands for ocean. So that might be the ocean of features, applications, phones or whatever Samsung plans with its OS. 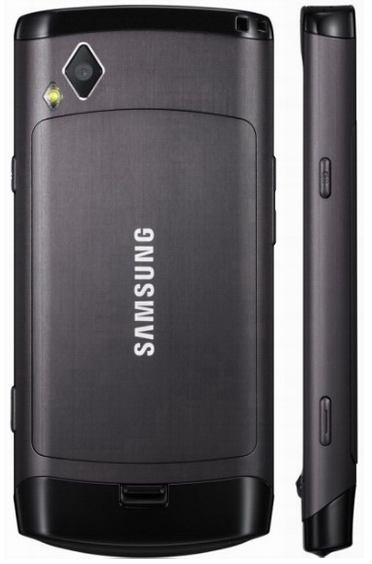 Samsung has proved this with the very first Bada phone. Though, the application count may seem low at this point, the hardware specification of Wave is promising. 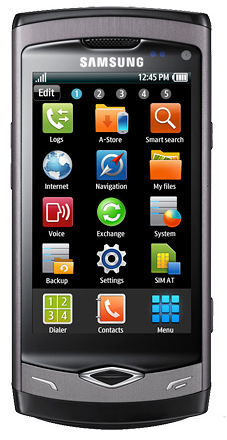 Samsung Wave includes a new 3.3 inch AMOLD capacitive touch screen with 16M color support and 480 x 800 pixels resolution. Wave is one of the first device to include Bluetooth 3.0 that provides much faster data transfers. The device would be quite fast as it packs the new ARM 1GHZ processor. Samsung uses much popular Touchwiz UI over Bada OS. A new version of 3.0 is flashed in this model. So users won’t be confused to learn the basics of S8500 Wave. It includes a 5MP camera that can record videos (DivX and Xvid supported) at HD quality. Like every other recent Samsung releases, Wave comes with all social media applications and widgets. Bluetooth 3.0 and improved WiFi are the other notable features of this phone. The OS itself is faster and responsive as per the reviewers at MWC 2010. So it along with ARM 1GHZ processor would contribute to great multimedia and entertainment. Google applications, A-GPS, image editor, document reader, FM radio with recording, 1500 mAh battery, 2/8 GB internal memory-expandable upto 32GB, DNSe, speaker phone, 3.5 mm headphone jack, 3G, EDGE, GPRS etc. It is too early to predict the price of Samsung Wave. But since the OS is and most of the electronics components are designed and developed Samsung, we expect the price to be competitive. Samsung will launch Wave in selected markets around April of this year. We will update this page when new details are available. Update: Samsung Wave price announced. The device will be available for 580 USD in selected world markets from this May. Buying nokia n97 mini is betr dan buying dis phne… If u jst put sum 2 to 3 k u will b gtng n97mini itslf,it wil b a wise decision…. I’ll just sum up by saying that this is a very competetive phone in this this market. Maybe it’s not being marketed in the US, but it’s causing quite a splash (hehe) over here! I’m loving virtually everything about it so far.